No short break is more exciting for a child than a visit to Disneyland® Paris. And yet, a new concept threatens to make a visit to that most magical destination even better. 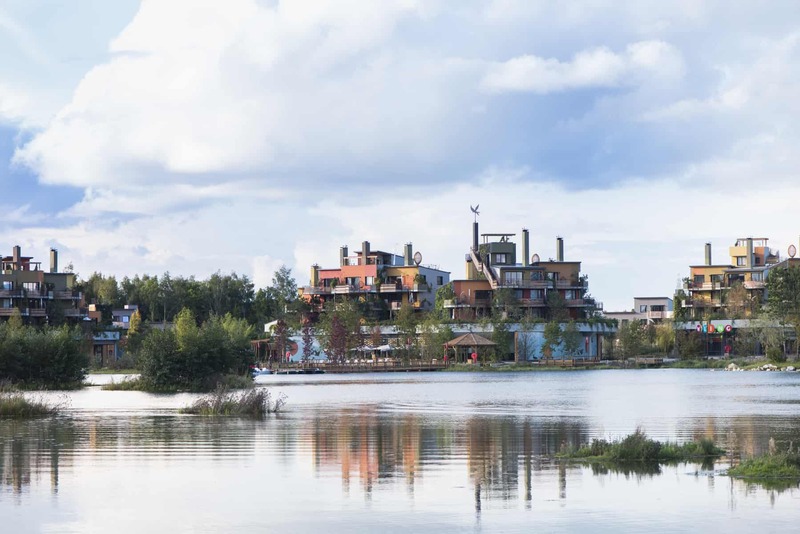 The combined brainchild of Disney and Center Parcs, each brings a unique expertise in exploration and entertainment. The result is five totally immersive worlds, combining to create the perfect holiday. What is Villages Nature® Paris? 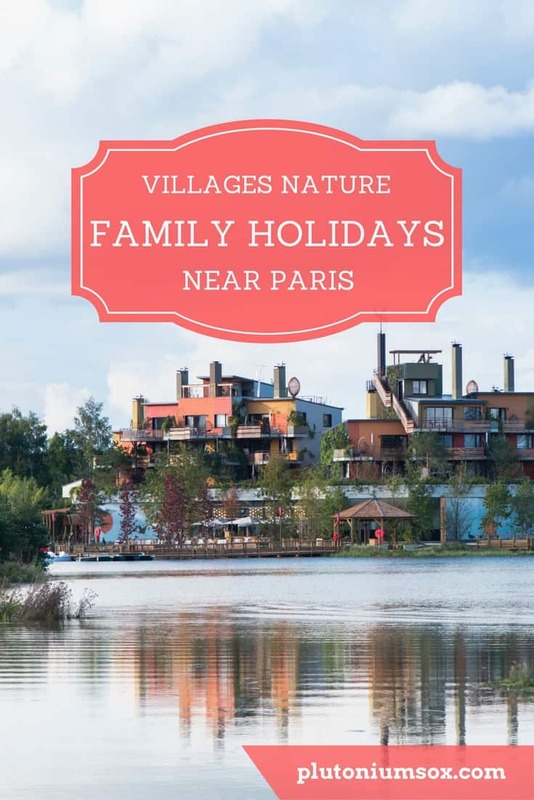 Located just 6km from Disneyland® Paris and 32km from Paris itself, Villages Nature® Paris is a holiday resort with a difference. It is environmentally friendly and aims for zero carbon and waste. The resort strives for sustainability of food, transport, water and materials. It takes an ethical view towards culture, community, land use, wildlife, equity, the local economy and health and happiness. 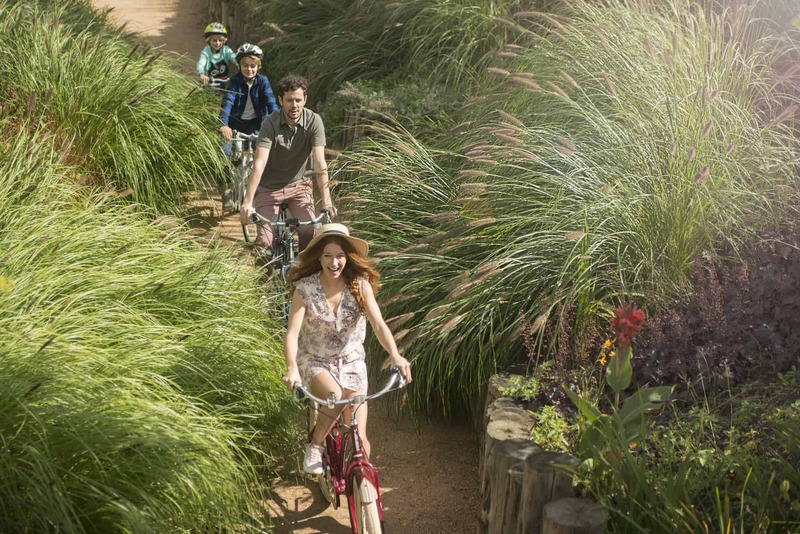 Villages Nature® Paris has five zones. 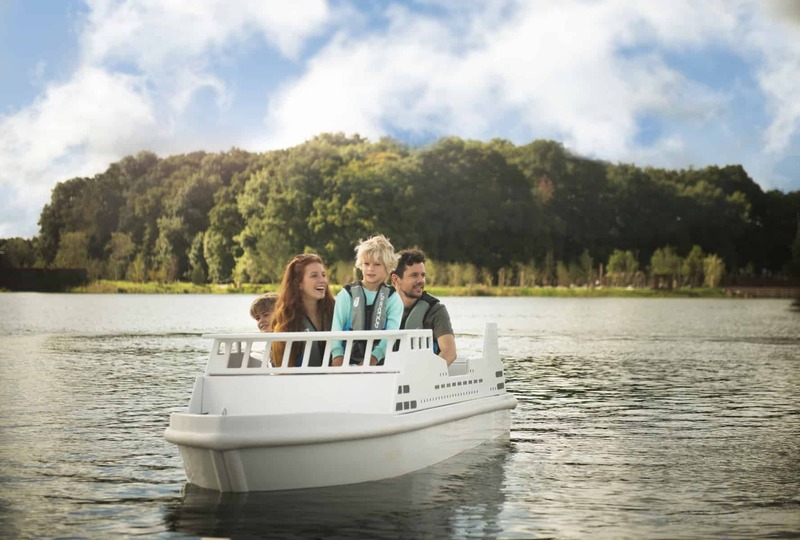 Each represents a different element of an idyllic holiday, with activities on offer for the whole family. One of the largest covered water parks in Europe, the Aqualagon is covered entirely in glass, with the indoor area opening onto an outdoor lagoon. Water both indoors and out is heated by geothermal energy, maintaining a temperature of 30 degrees all year round. Aqualagon boasts a wave pool, adventure river, 7 giant waterslides, 2 indoor paddling pools, 2 outdoor paddling pools, a splashpad, 3 jacuzzis, a deep nature spa with 5 treatment rooms and a semi-aquatic outdoor lounging area. From the top of the Aqualagon’s pyramid structure, you can take in a panoramic view over Villages Nature® Paris and its surroundings. Based on traditional farms in the local region, Bellevie farm is the ideal place to learn about agricultural life. Visit the traditional tea room and grocery store with seasonal produce, or take part in workshops and activities. Learn hands-on about bread making or bee keeping, take a pony ride or explore the farm with its drawbridge and moat. Extending over 5.2 acres, the garden is divided into four areas. Each celebrates a different one of the elements – earth, fire, air and water. The features of each element are represented, with fire represented by autumnal foliages and water playing host to water features alongside palm, pine and evergreen oak trees. This huge woodland has plenty of hiding places, hanging nests and play areas. 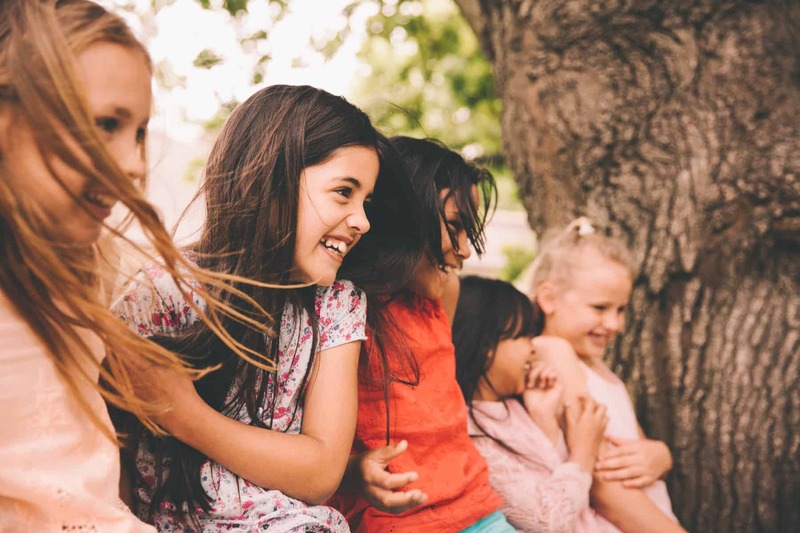 Children can build huts, cross rope bridges and explore mysterious trails. In this forest of fairytales, you can immerse yourself totally in stories. At the centre of the resort is the lake. The promenade is a place to eat, shop and socialise in a beautiful setting. Take a wine tasting class, dance at a mini disco or take in a concert at the waterfront amphitheatre. Sports lovers can go on coach-led group runs, play water basketball or go paddle boarding. Or for something really unusual, try aquajump – combining fun in the water with trampolining. Foodies can try wine tasting, bread making, butter making or a family cookery class. And little explorers can discover trails based on the themes of the Extraordinary Gardens or have a go at building a raft or a hut. Nature lovers can chat to the gardeners about plants or learn bee keeping or animal care. There’s also a kids club developed in partnership with Disneynature, to teach children about the wonders of nature. Thrill seekers will enjoy Adventure River, with its wet and wild surprises and whirlpools. The seven waterslides will get your adrenalin racing too. Or if you’d prefer to stay dry, head into the canopy and zip from tree to tree, suspended high above the ground. There are three types of accommodation, with each offering self-catering luxury. Every cottage and apartment has baby beds and high chairs, free WiFi and a fully equipped kitchen. 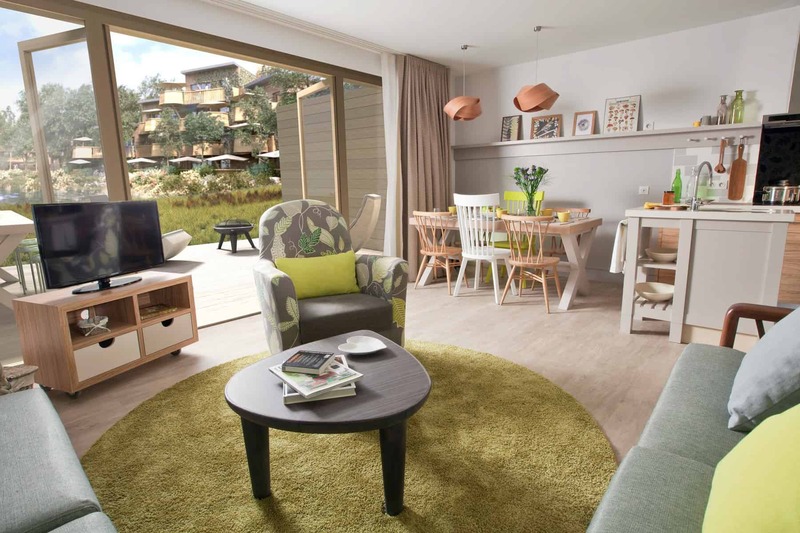 To book a holiday at Villages Nature® Paris, click here. Please note, this is a collaborative post. I have not visited the resort but researched it to tell you about it. All views and opinions are my own. All images courtesy of Villages Nature® Paris. Thanks Maz, I really like the look of it too. Yes you’re right it does look ideal for families with big age gaps, there’s definitely something for everyone. I hope you manage to go! Me too, love places that take their commitment to the environment seriously. Wow, it sounds amazing there! Pinning this to my dream travel places. Thanks for sharing, I hadn’t heard about it till now. Thank you Nyomi, it’s on my dream list too, doesn’t it look fabulous? Me too, sounds like a wonderful place doesn’t it? This looks amazing. Off to click the link and check prices. We weren’t planning a holiday this year but I might be persuaded now. I feel the same Alan, it would certainly tempt us too! Yes, me too! It looks like an incredible place. That does look like a great family friendly destination and exactly the kind of thing the french excel at. It looks amazing doesn’t it? I think the Disney / Center Parcs combo will be perfection. Hi Nat, I love this! I can imagine that whichever zone you holiday at is an amazing experience, but the extraordinary gardens and the forest of legends is where I’d head, children or no children. Doesn’t it sound wonderful? I’m really hoping we’ll make it there in the not too distant future. Oh doesn’t it look fabulous? I’d love to go as well.